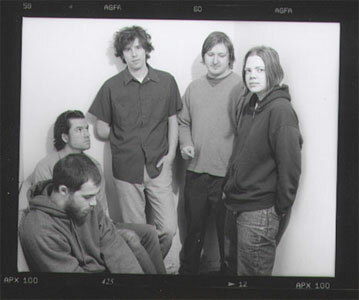 In 1999, The Standard as an entity formed when drummer Rob Duncan approached Tim Putnam to be in the band that he was starting up. Tim needed some convincing, as he had never been in a working band, let alone sang in one. Soon thereafter, Rob Oberdorfer joined to play bass. Jay Clarke lived in an apartment across the hall from Tim, and they met while Tim was writing songs. The band needed a keyboard player so Tim extended the invite to Jay to round out the lineup. After writing and solidifying a handful of songs, The Standard recorded their first, self-titled record for Seattle's Barbaric Records in Portland, OR at Jackpot Studios with Jeff Saltzman. Spurred on by their passionate live shows and the dynamic energy of their debut record, the Northwest U.S. quickly took notice of The Standard and their inventive sound, which is highlighted by Tim Putnam's fragile and unique vocal style layered over the band�s guitar-laden tunes. After releasing August on Touch and Go, The Standard left to put out records on the Yep Rock label.